Illinois took its second international trip in school history over fall break and made NCAA history. The Illini took off Nov. 18 for a six-day, six-game series in Curacao and Aruba. NCAA rules limit teams to one international trip every four years, and Illinois’ island outing followed the program’s first trip to the Dominican Republic in 2014. Teams from Curacao and Aruba were made up of invited players, current and former professional players and national team members. 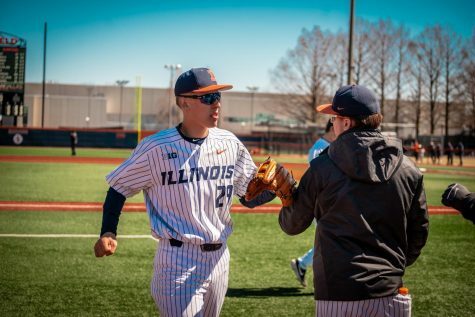 While the trip was an opportunity for the Illini to improve their skills overseas, it was also a bonding experience like no other, according to freshman infielder Branden Comia. 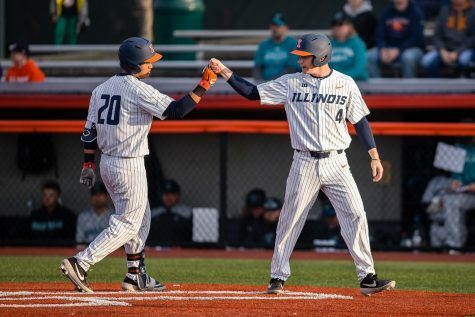 The squad brought home the Aruba Cup Championship title and became the first NCAA team to play on the island; however, Illinois began its trip with a 4-0 loss to Curacao at Tio Daou Ballpark on Sunday. After a day enjoying the beach, Illinois was blanked by Curacao and outhit 4-3 after Curacao coined two runs in both the fifth and sixth innings. Curacao’s former Washington Nationals and Minnesota Twins pitcher Shairon Martis closed out the first game and silenced Illinois’ chance of redemption in the final frame. Illinois began Nov. 19 with a hike up Mt. Kristoffel, fitting in some team bonding before facing off against Curacao in the second game of the series. 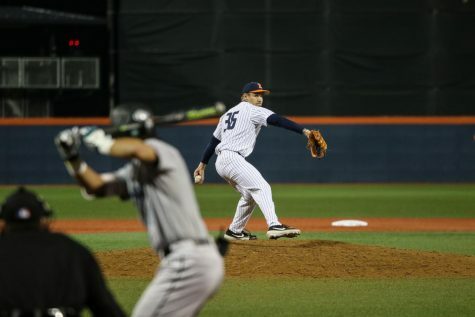 The Illini came back from a 3-2 deficit in the ninth inning to tie 3-3. Illinois was leading 2-0 into the fifth, but Curacao picked up a pair of runs in the same inning and eventually took the lead off a wild pitch in the eighth. But with two outs in the ninth, junior shortstop Ben Troike clocked a pop-up deep into the outfield to tie the contest in the final inning. Tuesday, Illinois hosted a skills clinic for kids but failed to overcome Curacao on the field afterward. Curacao edged Illinois 8-5 off, winning the three-game series. 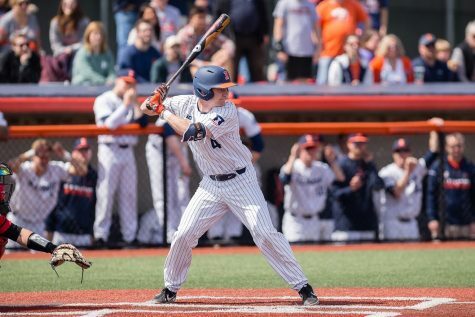 Despite the loss, freshman utility player Cam McDonald clocked a two-run homer in the second to send the Illini into an early 2-1 lead. Both teams played back and forth. Curacao tied the game in the second half of the inning and extended its lead to 5-2 in the fifth. 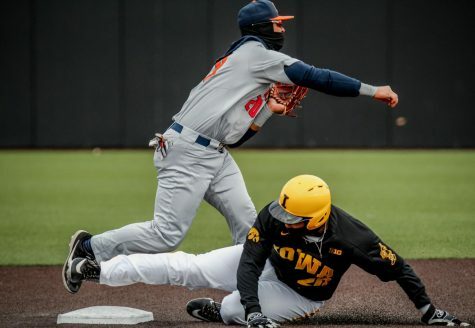 Illinois tied the contest again with three runs in the sixth but was toppled by Curaçaou’s three-run eighth inning. The Illini were back in the air on Wednesday as they traveled to Aruba for the second part of their foreign outing. 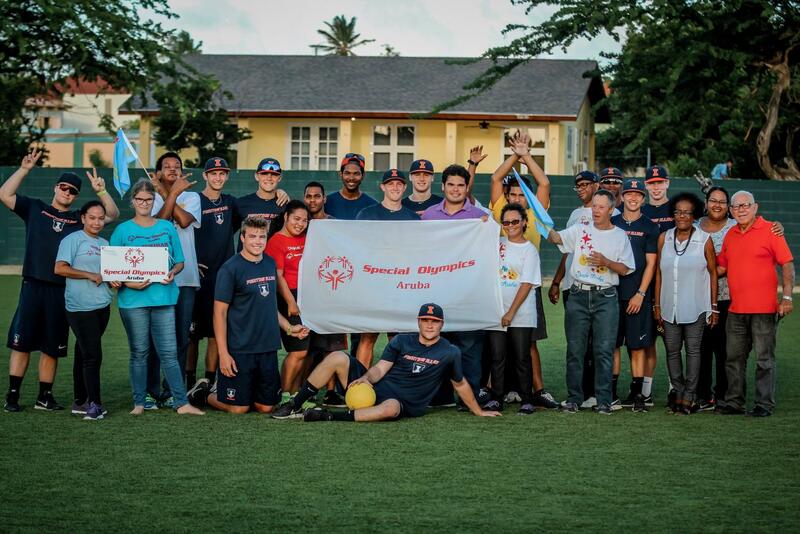 Illinois found success in its first game against Aruba, 6-2, at Winston Stadium. 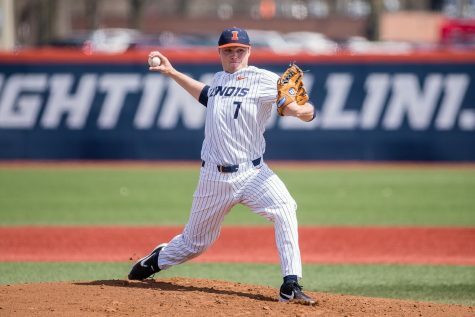 Home runs from Comia and senior utility-man Michael Michalak hoisted Illinois over Aruba, while the pitching staff went to work, shutting Aruba out after the second inning. While Thursday marked some of the players’ first time away from family on the Thanksgiving holiday, the team spent the afternoon eating a meal together and preparing for game two against Aruba later that evening. 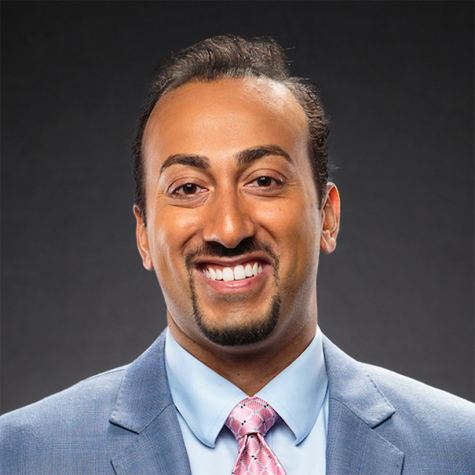 Despite being away on Thanksgiving for the first time, Comia said he wouldn’t have traded a moment from the trip. 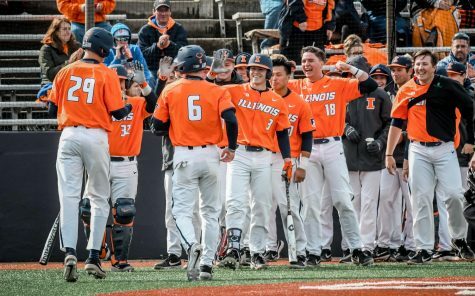 Aruba beat Illinois 3-1 and evened the series Thursday despite outhitting them 7-5. 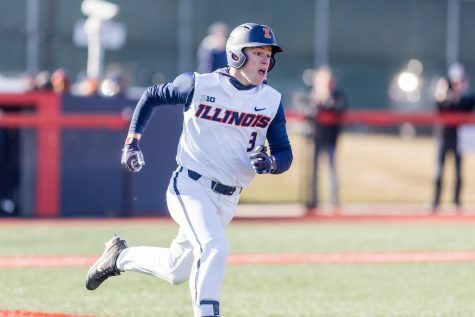 Junior second baseman Michael Massey knocked Illinois’ lone run on a triple in the sixth, but Aruba jumped first with two runs in the fourth and one in the fifth. The fate of the series, and the Illini’s hope at taking home it’s first ever Aruba Cup title came down to Friday’s contest. 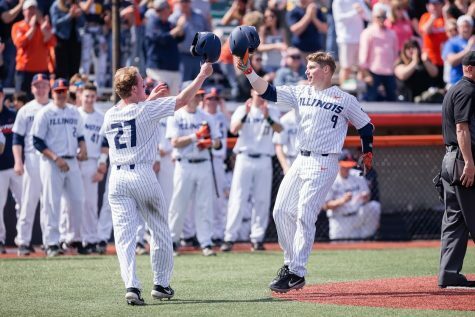 Illinois spent the morning hosting a Special Olympic clinic at Winston Field and later went onto clinch the series after a 5-2 victory over the Islanders. After Comia hit a home run in the first inning, Illinois collected four runs from sacrifice hits, and outhit Aruba 6-3 overall. Senior right-handed pitcher Quinn Snarskis allowed one run and one hit after the first three innings. 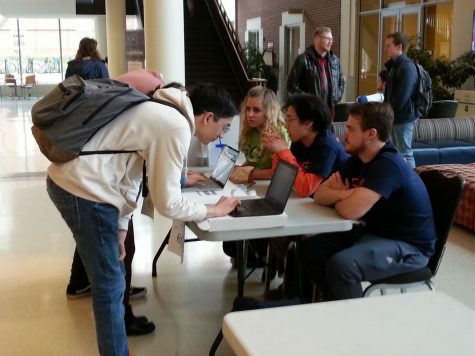 The Illini returned to campus Sunday and won’t gather for official NCAA sanctioned practices until after winter break. 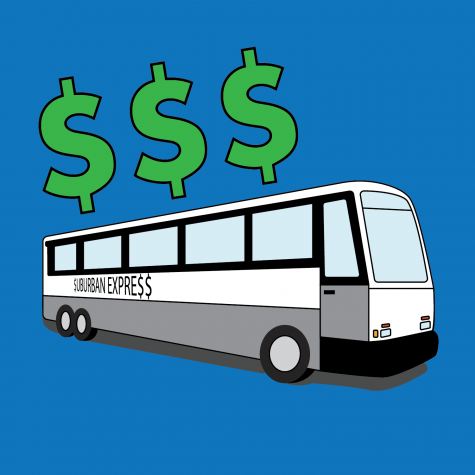 The regular season will begin February 15, 2019.